Sometimes all it takes are for a few people to come together to create something good. And so it went, that for one Sunday in Antipolo, Philippines on the 7th of February 2016, wandering artists and artists-at-heart came to the Artis Artisan Bazaar and experienced an intimate and special gathering. Maker-sellers had been invited for a day that was meant to inspire, bring experienced artists alongside those just beginning their craft, and have an intimate venue to mingle, earn and learn and push each other forward. Our driveway was lined with sisters-turned-partners, an advertising designer who does pottery on the side, a mom who was stitching her leathergoods while her baby napped. We had an angel tarot card reader, friends who restructured 'ukay' and sold sustainable fashion, and siblings who made customisable chopping boards. There were paper crafters who could whip up bouquets out of books, a beer brewer who crafted beer out of barley he had grown himself... the taste of home-rolled ensaymada, the scent of coffee, a 4-year-old tending his Kombucha booth... It didn't matter much where you were from, or what age you were; sellers and visitors from Antipolo, Katipunan, Valenzuela and even Tarlac just came and chatted, and just had a plain good time. Throughout the day there were demonstrations beginning with a bath-fizz making with Body Food All Natural, landscape watercolor with Arlene Sy, floral watercolor with Emma Gutierrez, calligraphy with Marie Gutierrez, heart paper-garlands with Amber Folkman, and papercutting with Tessa Diamse. 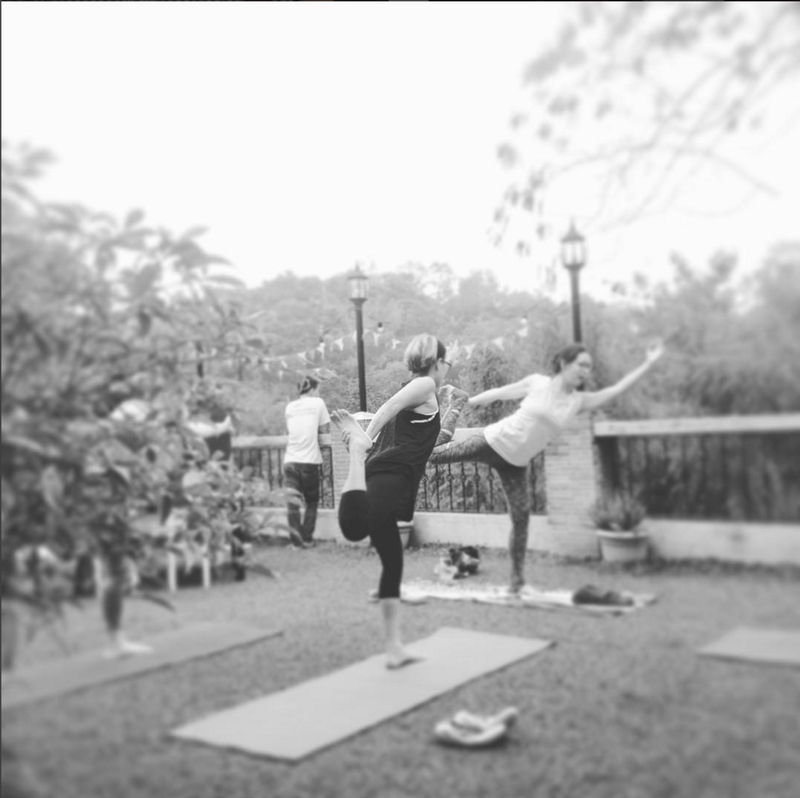 The afternoon ended with a yoga session with Dianne Pascual, and a sweet outdoor movie at the roof garden. A few old and new friends stayed till the end. The day began with much hope... and when the day ended it was more than we hoped and our hearts were full. We don't know when the next one will be, or where this will take us, but we're very excited to find out! The bouquet image used in promotions is credited to photographer Anouschka Rokebrand and styling by Holly Marder / Avenue Lifestyle. Next time I will shoot my own wildflower bouquet!